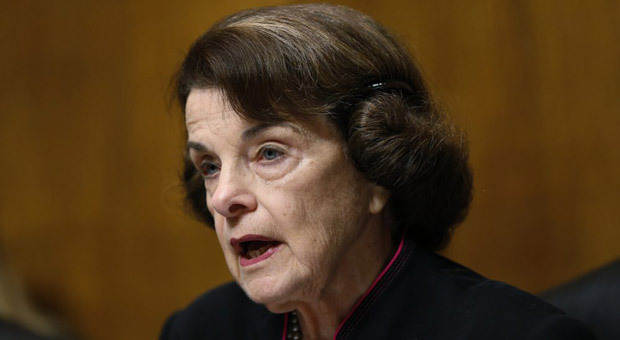 Senator Dianne Feinstein (D-CA) has spoken out to say that changing the laws in the US, to allow authorities to confiscate guns from citizens, is a solution to end mass shootings in the country. “One common thread that runs through mass shootings in this country is that family and friends are often the first to be aware that perpetrators pose threats to themselves or others. “Already, 14 states and D.C. have laws allowing extreme risk protection orders,” the California Democrat said. "The federal government should support other states that want to follow their lead." Our bill would help states establish a court process to allow that to happen. 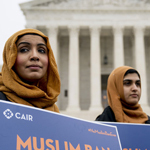 Already, 14 states and D.C. have laws allowing extreme risk protection orders. The federal government should support other states that want to follow their lead. Last week, radical Democratic socialist Rep. Alexandria Ocasio-Cortez called for a sweeping a firearms ban in the United States while championing government confiscation of guns from law-abiding citizens. 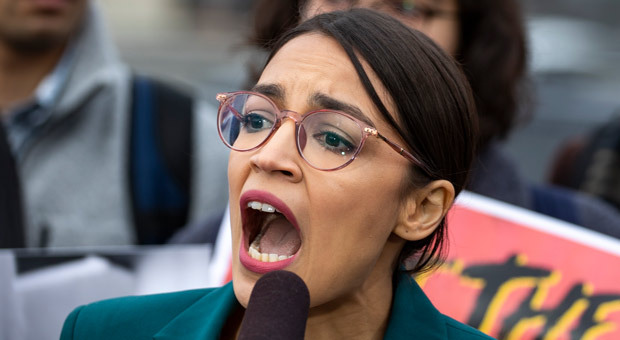 New York Democrat Ocasio-Cortez made the calls following New Zealand's introduction of sweeping new gun laws in response to the horrific shooting attacks at two Christchurch mosques earlier this month. NZ Prime Minister Jacinda Ardern announced her country's new ban on "military-style" weapons, which includes government confiscation of nearly all semi-automatic firearms. 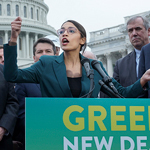 AOC celebrated the announcement by calling for the US to follow suit by introducing the same strict gun-control measures, despite the move meaning the government was going to be confiscating firearms from law-abiding citizens. 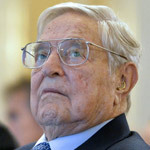 A number of Democrats have called for stricter gun measures in the US following the attacks in the Australasian state. 2020 hopeful Bernie Sanders also joined the calls to ban guns in America, saying, "This is what real action to stop gun violence looks like. We must follow New Zealand’s lead." 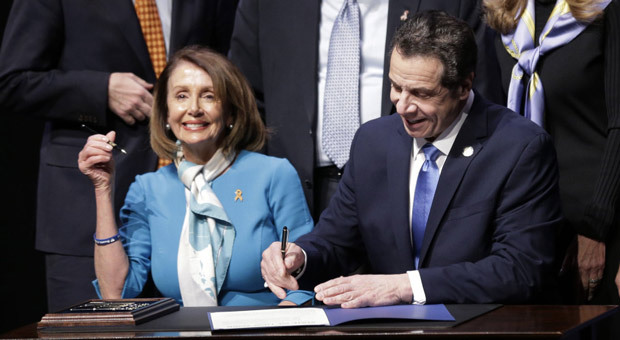 In February, House Speaker Nancy Pelosi joined Democratic New York Governor Andrew Cuomo as he signed the "Red Flag Bill" into state law, allowing authorities to confiscate guns from citizens. The law comes into effect 180 days from the date of the Feb. 25 signing. NY Gov. Cuomo (D) was joined by Democrat leader Pelosi for the signing ceremony at the John Jay College of Criminal Justice in Midtown Manhatten, NYC. Pelosi (D-CA) praised Cuomo and the New York State Legislature for "leading the way by passing the Red Flag Bill & providing an example of the commonsense solutions." Aside from law enforcement, the bill also allows school teachers and family members to request a person's guns are confiscated by the authorities. Cuomo celebrated the signing of the legislation saying that the "Red Flag Bill will save lives by empowering school teachers to do something when they believe something bad is going to happen." California has a similar confiscation law and it did not prevent the November 7, 2018, Borderline Bar & Grill shooting. 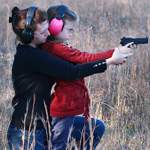 Illinois has a red flag/firearm confiscation law, too, and it did not prevent the shooting at the Henry Pratt Company on February 15, 2019. Florida also has a red flag/firearm confiscation law, and it did not prevent the August 26, 2018, Jacksonville Landing shooting or the January 23, 2019, SunTrust attack that killed five in Sebring, Florida.